In the vast pool of consciousness inside us and surrounding us, there are three types of thoughts we can choose from; the positive, negative and the neutral. The neutral thoughts may still have a subtle positive or negative slant to them, yet are just less fiercely opinionated. The negative thoughts are the clinging type where the body holds physical tension and the breath is shorter and controlled. The mind is grasping on in fear, thinking that our ideas, life circumstances and belief systems must be a certain particular way and not any other way if we are to survive. Positive thoughts however, feel more liberating, mind expansive, abundant, and healing to the body. There’s an instant appreciative vibration and sensation of gentleness, confidence, peace and warmth around the heart. The reason I’m explaining the obvious is because we don’t often realize if what type of thinking we are dwelling in, and the moment we become aware, it gives us a chance at becoming truly free. It’s essential that we explore life outside our normal box of believing if we are ever to evolve. One of the most interesting aspects I’ve found about the path to enlightenment, is that it can be found within both realms of positive and negative thinking. Enlightenment is always more effortless than what we’ve been told. It’s a natural by-product and effect from living in a state of perpetual equanimity and neutrality with the mind. Therefore, we must remove any spiritual enlightenment mask if we are ever to truly arrive. The mask I’m referring to is the one that believes the super pure, holy, sacred beings are those who only have positive loving thoughts coursing through their brains all day long. If positive thinking all day long was a necessity to become enlightened, it would be pretty hopeless for a majority of humanity to ever find real true inner freedom. When it comes to enlightenment, positive thinking can help you arrive at freedom just as much as negative thinking. Both sides of the coin are needed for us to find the edge, where the mind is dropped and real freedom abides. So you may decide to use the positive front door, or perhaps sneak in through the negative basement window. Both doors to freedom go to the same place, allowing you to step into your enlightened home. When we arrive in the burning hearth and fire of awareness, we simply want to rest and relax into that cozy healing nest. The blissful feeling of freedom naturally arises from sitting in front of that fire of awareness. We can then see the negative and positive thoughts come and go, yet the fire of pure awareness remains the same. It’s as if we once believed we were puffy clouds who spent too much time floating through the mountain peaks and valleys, forgetting that our real home is the vast endless sky. Our thoughts are the various cloud formations, and consistency of the cloud, while the enlightened state (our real nature) is the infinite sky. In pure awareness, we see that we already are the free sky that has no limits or real boundaries. We understand we are free from our thoughts and beliefs, no matter how high or low they are. No matter what the mind thinks it needs to do to find peace in your life, the real question is what are you doing to relax into and discover your personal infinite sky, which is always there and waiting for you. Try to only think positively about one particular thing for 1 full hour. Don’t allow the pendulum to swing to the negative. If it does, start the timer over. Eventually, you’ll find the mind reaches its positive creative peak and starts desperately seeking for more positivity, or will give up and get pulled into a valley of frustration. The mind is the ultimate con-artist at thinking it knows the secrets to making you happy. It will form very specific ideas that “you have succeeded or failed in life”, enticing your heart to believe that your innermost nature is also a total success or total failure. Another fun thing to notice here is how liberating it feels to realize that enlightenment has little to do with trying to think positive thoughts or staying free from negative thoughts. We become instantly closer to the state of enlightened freedom from entertaining this one small shift in perception. Now, imagine holding this idea as your entire life’s perception all day long for the next 21 days! Now we’re talking more about a truly profound shift, a real deepening into the liberated awareness that you are, who is already always free from all forms of suffering. This more expansive perception of reality and liberating relationship with the mind, is the first major task to master on the enlightenment path. My message to you is not to not try and think positive thoughts. Don’t get me wrong. Positive thoughts will naturally occur, and when they happen on their own they are much more amazing and spectacular than pre-fabricated ones. The problem with trying to be positive in life is that there’s often an element of desperation and lack hidden behind it. We are afraid of our darkness, scared of what lurks in the caverns of our mind, and thus feel we need to always be thinking on the positive track to avoid falling in. The pattern of avoidance is a fear based trip, and it always ends up creating more limitations within yourself. It is much more enlightening to face that which we cannot face, and be with that which we cannot be with. This is another secret to real freedom. Our human goal is always to find total freedom and love. Yet, how can we find this if we are not allowing ourselves to play in all the creative areas within our mind. Who is the master of the mind if there are certain places we dare not adventure into? The dark is deep and humbling, the light is bright and empowering, they both have their ego freeing benefits. When we are more devoted to the liberation that naturally occurs by tuning into our pure consciousness, than the need to control and micro-manage our lives, we connect with the great bliss within that is not at all concerned with positive or negative thinking. When we feel connected, we enter into a divine state of listening, and messages of guidance start appearing everywhere we travel throughout our day. When our mind is open, clear and receptive, we can hear the guidance from our soul more clearly and don’t need to try to think positively or avoid thinking negatively. The soul is always speaking to us sweetly, showing us the way. The only reason we are not hearing the life affirming guiding messages from our soul all day long, is because of one little thing. The ego/mind/personality/agenda is blocking the way. We’ve become over identified with this body, mind and the “I” or “me” that is associated with it. The Universe has been trying for lifetimes to bring you out of your ego trip, and it’s succulent agenda and serious attempt to control the mind, reality, and your future. The Universe was simply waiting for this very appropriate time (now) when you became tired of playing games, and were ready for a real experience of your true infinite nature. I find that the ego acts a lot like an old coat hanger antenna hooked to your cable T.V. The signal it receives is old fashioned, outdated, and interferes with the crisp clear channel direct from the cable line underneath. Whenever we adjust the coat wire, the sound and picture quality can become fuzzy, confusing, or suddenly exceptionally clear! Then we create this pattern of re-adjusting our wire hanger, thinking it is the answer to a clear life, and never imagine for a moment that we can use the digital HD cable that has already been plugged in for years. It’s truly a blessing when it happens to you that you simply stop wiggling your antenna and tune into your hard line of divine intelligence. The very second you drop the adjustment habit, trying to control the mind and its quality of thoughts, you start listening on a deeper level to the great wisdom that is here beneath it all. The very moment we pull the plug on our thinking machine, the infinite soul that we naturally are becomes obvious, real and apparent everywhere we go. We become present to the heart beating within us, the breath that brings us deeper sensations of peace, and realize the Universe and it’s infinite playground exists everywhere! As this hard line connection gets stronger, the inner quietness becomes more potent, and we can actually hear this personal angelic guidance as if it was radioed down from an intercom! The truth is our inner guidance is always blasting us with the most enlightening information we’re most needing to know, its just are we listening? By practicing unplugging the thinking antenna and turning up the volume on listening dial, we slowly begin hearing it and our lives attune to a more enlightened way of being. When the mind becomes perfectly silent everything inside instantly becomes crystal clear. We realize that all of our confusion, problems and personal inadequacies were all being generated by this cheap old antenna. We constantly see and hear a full line of Universal truths because we are free from our judgment filters. Every person we encounter becomes a spirit guide, with a deep important message about our life path insight that directly speaks personally to us. It’s not that every single audible word coming out of everybody’s mouth is a huge personal message from the divine meant just for you, yet the more often we practice listening, the easier it is to feel what life choices to make and clearly know where our soul is most wanting to go. I recommend you practice this one simple technique as much as you can. Listen to what is listening. Place your attention upon what is paying attention. Then, when you’re in conversation with another person, use this extra highly perceptive awareness to go beyond the surface meaning of their words. Dive in between their word, beneath their egoic message, and tune into what their soul is trying to share with your soul. If God had a message for you today through this person, what would you most need to hear? This level of soul listening means you’re willing to hear a continuously positive message from the Universe. The Universal source in its perfection only delivers messages of love, healing, freedom, and how to reach enlightenment. The messages we receive may send us sailing through the high and holy front door, or down through the dark back basement door. Either passage way given, the Universe is always conspiring in our favor, in an eager attempt to fulfill the most deep and personal needs we have, yet may not know. You were born to enjoy this grand mysterious and profound matrix of life. You are here to discover Heaven on Earth, and this is done by having mastery over your mind. It may take 2 days or 2000 days before you can actually discover real mastery, which is why I created this practical daily fool proof enlightenment course and super manifesting program below, which is 100% guaranteed to dramatically shift your life in the most enlightening ways in the next 90 days or less! 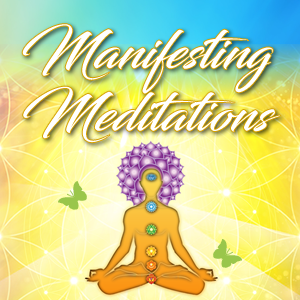 This instant download contains 4 enlightening e-books, 2 manifesting e-courses and 12 manifesting meditations on MP3 audio. It might be the greatest gift you’ve ever given yourself! Thousands of people have applied this enlightening program since 2004, and have attracted the most amazing things! Just read a few of these testimonials on my website. This program is proven to enlighten your life so that you effortlessly attract everything your heart desires in love, relationships, money, career and your health. Best of all, it’s fun to do and you get to see real life results! Get ready to transform your life in the most enjoyable ways! 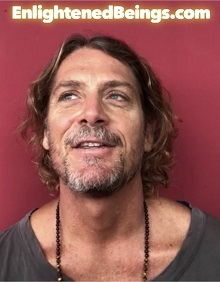 “The most unusual thing is that when I pick up a chapter in your manifesting manual, every part of my being begins to vibrate as if I just plugged into the Universe!” ~Morgan, Boston, MA. and generate an extra monthly passive income stream! Click Here to Learn How our Automated Internet Marketing Email System will work for you!